Mouthguards can help protect your child from a dental emergency. They should be worn whenever your child is participating in sports and recreational activities. Mouthguards, also called mouth protectors, help cushion a blow to the face, minimizing the risk of broken teeth and injuries to your lips, tongue, face or jaw. They typically cover the upper teeth and are a great way to protect the soft tissues of your tongue, lips and cheek lining. Knowing how to prevent injuries like these is especially important if your child participates in organized sports or other recreational activities. When it comes to protecting your mouth, a mouthguard is an essential piece of athletic gear that should be part of standard equipment from an early age. In fact, studies show that athletes are 60 times more likely to suffer harm to the teeth if they are not wearing a mouthguard. While collision and contact sports, such as boxing, are higher-risk sports for the mouth, you can experience a dental injury in non-contact activities too, such as gymnastics and skating. Boil and bite. These mouth protectors can be bought at many sporting goods stores and drugstores and may offer a better fit than stock mouth protectors. They are first softened in boiling water, then inserted and allowed to adapt to the shape of your mouth. The best mouthguard is one that has been custom made for your mouth by your dentist. However, if a custom-fitted mouthguard is not feasible, your child should still wear a stock mouthguard or a boil-and-bite mouthguard from the drugstore. If your child wears braces or another fixed dental appliance on your lower jaw, your dentist may suggest a mouth protector for these teeth as well. A properly fitted mouthguard may be especially important for people who wear braces or have fixed bridge work. A blow to the face could damage the brackets or other fixed orthodontic appliances. A mouthguard also provides a barrier between the braces and your cheek or lips, limiting the risk of soft tissue injuries. If your child has a retainer or other removable appliance, do not wear it during any contact sports. Occasionally clean the mouthguard in cool, soapy water and rinse thoroughly. Check for wear and tear to see if it needs replacing. (CNN) - We all know it's important to take care of our oral health, but something that tends to get overlooked is teeth grinding/clenching. Because this typically happens when we're not awake, most people aren't aware of how harmful it can be. Whether it's brought on by stress or anxiety, teeth grinding/clenching is not uncommon. Experts say grinding or clenching your teeth on a regular basis can not only damage your pearly whites, but can cause other health issues by putting pressure on the muscles and tissues around your jaw. In some cases, the chronic grinding can result in fracturing a tooth or worse, a permanent loss. Talk to your dentist. They may recommend a mouth guard to protect your teeth from grinding during sleep. You can also try avoiding anything that contains caffeine, like sodas, coffee and chocolate. Also, cut back on the alcohol. Grinding tends to get worse after a few drinks. Don't chew on pen caps or anything that isn't food, including gum. Chewing gum only allows your jaw muscles to get used to clenching and that's what you want to avoid. Dentists have long advised people to switch from manual toothbrushes to electric models, which do a far better job of keeping teeth and gums healthy. But with costs ranging from $30 to over $200 and marketing jargon ranging from “rotating-oscillating” to “sonic,” it’s no wonder people get confused about which one to buy. 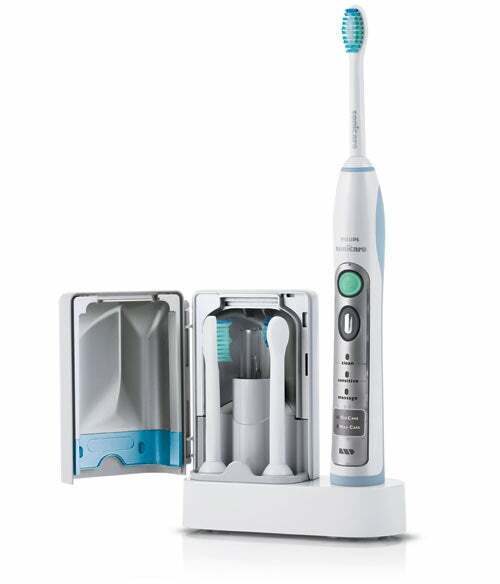 The cheapest type of electric toothbrush are the “rotating” ones, which have bristles that turn or spin. Slightly more upscale are the “rotating-oscillating” brushes, on which the head rotates one way, then the other, enabling you to focus on scrubbing one tooth at a time. 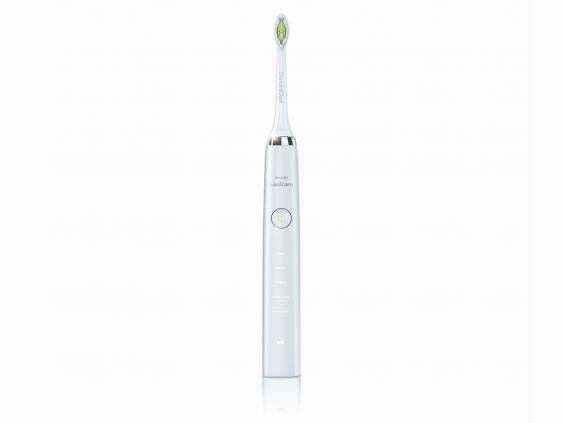 More expensive still are “sonic” brushes, which vibrate at very high speeds and frequencies to buff the tooth surface and force toothpaste between your teeth. Finally, there’s “ultrasonic,” which create millions of sound waves per minute to penetrate special nano bubble toothpaste into teeth and gums, which helps protect gums and enamel while cleaning efficiently. Whatever option you go for, check how long the rechargeable batteries last as this can range from a week’s worth of brushing twice a day up to an impressive six weeks. Also, how often you’ll need to replace the brush heads, as well as how easily available and expensive they are. Nice-to-have features include brushing timer, pressure sensors which prevent harsh scrubbing and soft grip handles. The charging and storage unit comes with a built-in UV sanitizer that kills bacteria and viruses on brush heads. As for the brush itself, it provides a whopping 40,000 movements per minute, providing a lot of bang for your buck. In fact, you’ll need to remember not to switch it on until the brush is in your mouth if you don’t want to be sprayed with toothpaste. 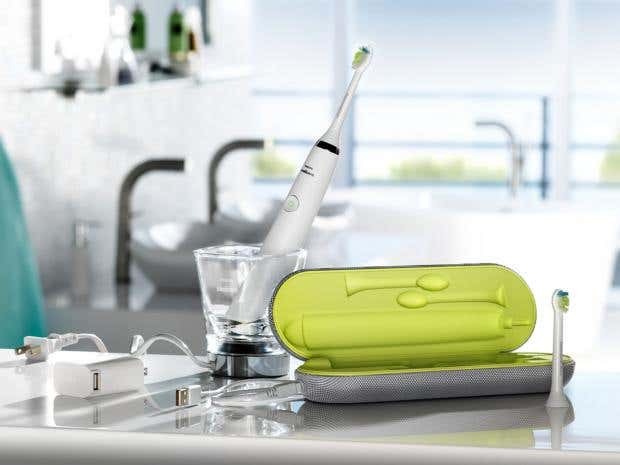 This brush offers a Sensitive Mode for cleaning sensitive teeth and gums, a travel case and charger, as well as a built in "Quadpacer" which provides a 30 second interval timer indicating when you have completed each quadrant of your mouth and signals for you to move on resulting in more consistent cleaning throughout your mouth. This stylish brush, available in colors as exotic as amethyst and soft pink, has features galore, including 30-second reminders to move onto the next section of teeth, five brushing modes and a glass charger, which keeps the battery lasting weeks. It’s incredibly powerful, as well as being ergonomically designed for a good grip, leaving your teeth gleaming and feeling beautifully polished, even in those nooks and crannies that conventional brushes can’t reach. This is a great "all-rounder". Combining a pulsating and rotating action, with a comfortable handle, it’s particularly good at breaking down plaque, reaching right between teeth, as well as making them whiter. It’s quieter than most brushes, as well as having a brush head that’s easy to change. But you’ll need to charge it every ten days or so. At your next visit, ask Dr. Andrews or Jenna which brush is right for you! Remember getting fluoride treatments as a kid? They’re an option for adults too, even though not all dentists offer them regularly to adult patients. The American Dental Association says fluoride treatments make sense for adults with a “moderate to high risk” of developing tooth decay. If you get cavities frequently, this is you. Other risk factors include smoking, eating a sugary diet and taking medications that reduce the amount of saliva in your mouth. Your dentist can help you figure out if a fluoride treatment makes sense for your situation. Fluoride treatments cost $30-$50 per visit. At-home fluoride treatments are also available and may be cheaper. Some fluoride treatments require a prescription, so ask your dentist about your options. This is, of course, in addition to the fluoride toothpaste you're already using. Interview with Florida Department of Health official. Florida DOH: Report illegal dentists by calling 1-877-HALT-ULA. It was one of the most elaborate offices investigators have ever seen. She had the full setup, they said. Two chairs, an X-ray machine, lab materials and all the tools needed to start messing in a mouth. What she was missing, though, health officials say, is the most important part: a license. 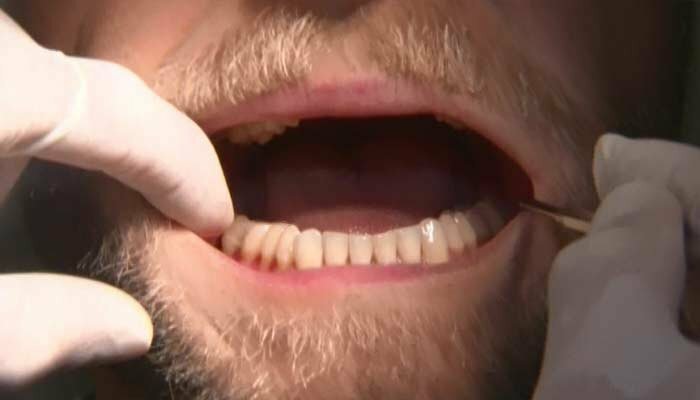 It's a dangerous and alarming practice, officials say, of people cleaning teeth, filling cavities, fitting dentures and making crowns in homes, garages or other buildings without a dental license. Typically seen in South Florida and in migrant communities, unlicensed dentists have also been a problem in Central Florida, said Chilo Casas, an unlicensed-activity liaison with the Florida Department of Health. And his agency is doing everything it can to try to stop it before it gets out of hand, he said. A dentist chair was found inside an unlicensed dental clinic in an Orange County neighborhood. (Metropolitan Bureau of Investigation, Lt. Doug Goerke) "The public really needs to know that it is dangerous," Casas said. 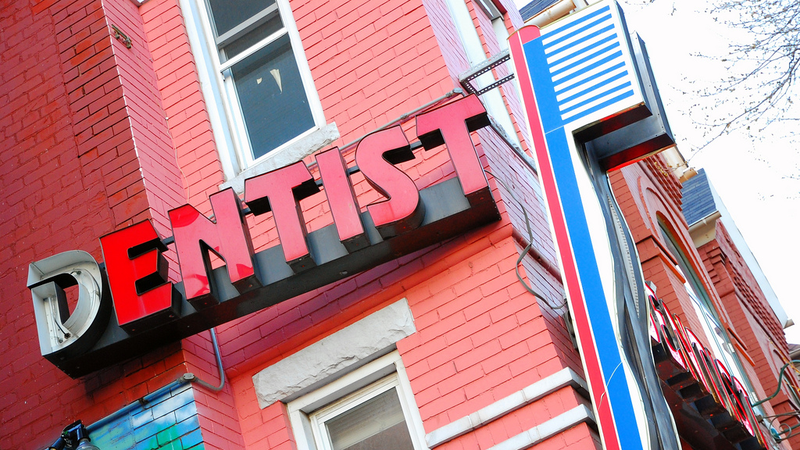 "You risk your health by going to an unlicensed dentist." Data released by the Department of Health show the statewide number of unlicensed-dentist investigations has remained fairly steady: 47 during the 2011-12 fiscal year, 50 during 2012-13 and 44 during 2013-14. The agency couldn't immediately provide a county-by-county breakdown. But Casas said it seems like a growing problem in Central Florida. That's likely, he said, because of Central Florida's growing immigrant communities, where the unlicensed dentists are most often found. In his 15 years of investigating unlicensed activity in Florida, Casas said he can only think of one case with a person who wasn't targeting those communities. Casas said most illegal dentists claim they're licensed in their home countries, such as Brazil, Colombia and Peru. They come to Florida, and for various reasons — typically money, time or language barriers — they don't get a state license, Casas said. But they continue to practice, targeting people of the same nationality. And the people, varying from unauthorized immigrants to middle-class workers, usually without insurance, risk their health by getting a quick dental fix out of someone's home, Casas said. But avoiding that risk isn't easy when an illegal dentist is the only choice. Olga Molina, a social work professor at the University of Central Florida, said she grew up going to an unlicensed dentist in New Jersey. He was Cuban, her family is Cuban, they got a good deal and they trusted him — among the main reasons people go to unlicensed dentists, she said. At the time, her family didn't see any problem with it because he did good work, she said, and they knew had been licensed in Cuba. He just wasn't able to get licensed in the U.S. Recent molds of numerous mouths were found inside an unlicensed dental clinic in an Orange County neighborhood. (Metropolitan Bureau of Investigation, Lt. Doug Goerke) Josephine Mercado, founder of Hispanic Health Initiatives in Orlando, said it's those licensing barriers, along with insurance issues, that drive the illegal dentist business. She said she's heard through the "grapevine" that there are numerous dentists practicing in Central Florida without a license — and most do decent work. With the high cost of dental care — even with insurance — Mercado said she's even been tempted to see one. "It's a sad reality of coming to live here in the United States," she said. The dentists have no easy way of transferring their license and the immigrants have no affordable dental care available, so the business thrives here, she said. But what people don't realize, Casas said, is the risk they're taking by having someone not licensed in Florida work on their teeth. That risk could be anything from paying hundreds of dollars for shady orthodontic work to permanent nerve damage, he said. It's a risk he said he hopes people won't take. "Forget about saving money," he said. "Think about your health." From the outside, it appeared a normal home, set back and partially hidden by trees. The average passerby probably wouldn't have known what was going on inside the modest house on the 2500 block of Good Homes Road in northwest Orange County. But following a tip, investigators started watching more closely. According to documents released by the Metropolitan Bureau of Investigation, investigators found used surgical wear, including masks and latex gloves, in the trash outside the home. They also found in the trash boxes that once contained toothbrushes, cement dental impressions, dental instruments and notes with names and phone numbers written on them. At one point, an investigator attempted to pose as a patient and knocked on the front door but never got an answer despite hearing people inside, according to the documents. The investigator also noticed a surveillance camera, metal bars on the door and the only visible window tinted too dark to see inside, according to the report. Finally, after 15 months of investigating, officials with the Department of Health and MBI got a search warrant to go inside. In there, they say they found one of the most complex unlicensed-dentist setups they've seen so far in Central Florida. There were prescription antibiotics and drugs for numbing patients' mouths, both apparently ordered online, MBI Lt. Doug Goerke said. There was an old X-ray machine and a full dental lab, with shelves of dental impressions, apparently used to make dentures and retainers, along with other orthodontic equipment. There was a dental textbook describing how to perform a specific procedure open on a desk, he said. And there was 60-year-old Carmen Dierks, wearing a surgical mask, shuffling a mother and child out a side door of the house, according to an arrest report. Dierks, a native of Brazil and a licensed dental hygienist in Florida, said she practiced dentistry back home. However, investigators couldn't verify that. But Casas said even if she was licensed in Brazil, what she's accused of doing is still illegal in Florida. "A lot claim they're licensed back home, but the thing that matters is they're not licensed in Florida," Casas said. "They know what they're doing is wrong." Dierks is facing charges of practicing unlicensed dentistry and operating an unregistered dental lab, according to Orange County court records. Orlando lawyer Eric Barker, who is representing Dierks, said recently he could not comment on the case. According to the arrest report, she told investigators she was only trying to help. Dierks' arrest is only the latest of several seen recently in the area — and across the state. Last July, Gustavo Hernan Aranguren was arrested on charges he was practicing dentistry without a license at his Buenaventura Lakes home, according to court records. An Orlando woman was ordered to cease and desist last November after investigators found she was cleaning teeth and providing orthodontic work out of her home. And one of the most prominent cases in recent years was in 2012, when a woman reported she received permanent nerve damage and lost a molar after being treated by Jorge Romero-Paredes of Hollywood. Romero-Paredes made house calls and was arrested after the woman came forward. He reached a plea deal about a year later that put him on 18 months of probation and ordered him to pay the woman back, according to reports. Unlicensed-dentist cases, especially ones like Romero-Paredes', where someone was seriously injured, are a "top priority" for the Department of Health, Casas said. The department recently launched a campaign with commercials, bus ads and signs outside gas stations urging anyone suspecting unlicensed activity to call an anonymous tip line at 1-877-HALT-ULA, or to email information to MQA.EnforcementULA@flhealth.gov. Florida law requires anyone applying for a license to have graduated or attended a school accredited by the American Dental Association Commission on Dental Accreditation for at least two years. 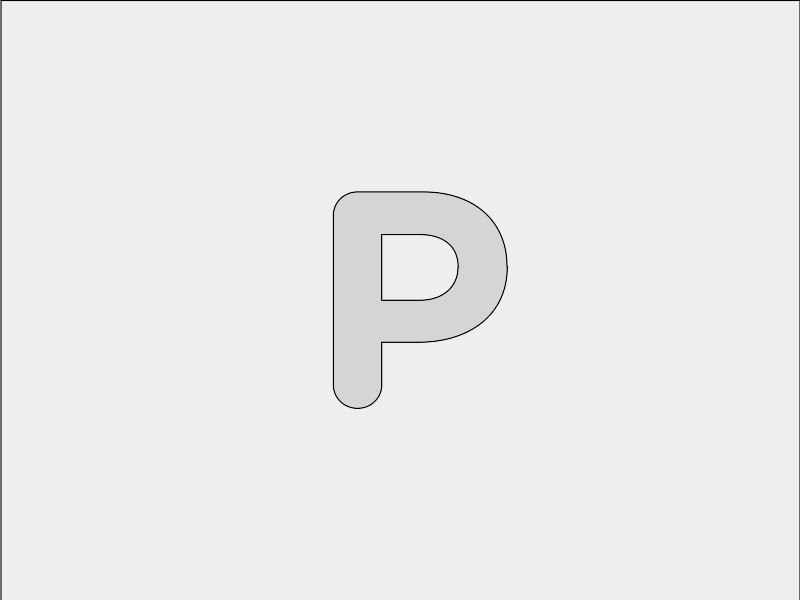 The person then has to take several examinations and provide proof of several other certifications. That process can be cumbersome and difficult for many immigrants who struggle with a language barrier, or who might not have attended an accredited school. Mercado said she's heard of people traveling back to their home countries for cheaper dental care to avoid the illegal aspect. She's also heard people praise the work of some unlicensed dentists because without them, they wouldn't be getting the dental care they need. "The Latino communities have their own resources a lot of times because they can't access the resources for the mainstream communities here," Molina said. "That's just part of the culture and I doubt that's going to change."